What do James Brown, Rush Limbaugh and Malcolm X have in common? They all worked as shoeshiners at one point of their lives. 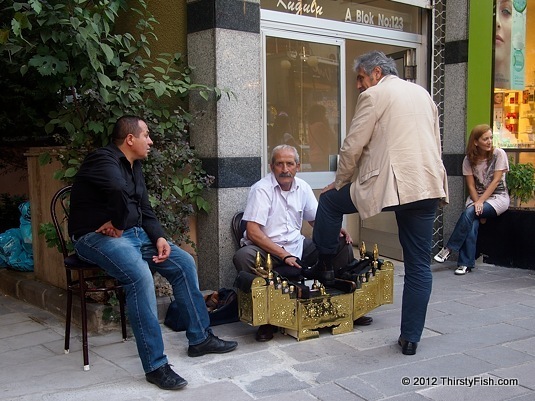 This shoeshiner was photographed in Ankara.